Joseph Rudyard Kipling (1865-1936) was an English author and poet born in Bombay, India. Educated in Britain, he later returned to Lahore, India, to work as a journalist. Kipling travelled widely and also lived in Vermont, having married Carrie Balestier, an American. Throughout his life, Kipling never stopped writing. He was greatly revered during his lifetime and received the 1907 Nobel Prize for Literature. 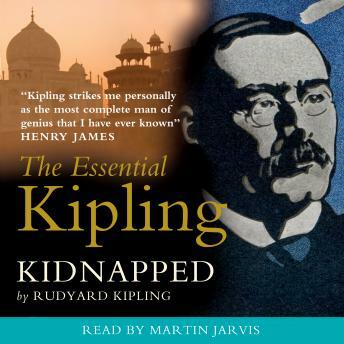 Kidnapped examines Kipling's attitudes towards race, and inter-racial marriage in particular, with the amused observations of societal quirks characteristic of his writing.